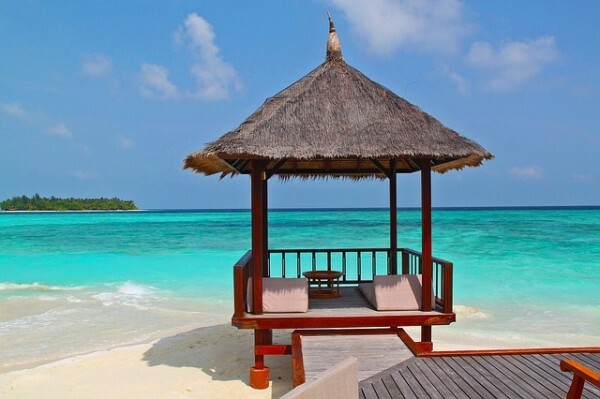 The country of Maldives stretches for 823 km north to south and 130 km east to west. Of all the islands that comprise Maldives, 200 are inhabited and 88 have been adapted as resort islands. 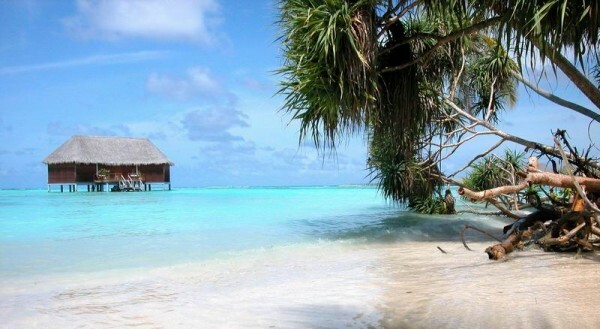 More than 99 percent of Maldives comprises the sea. Less than 1% is land. The Maldives island form part a huge submarine mountain range, with Lakshadweep Islands to the north and Chagos Islands to the south. The crest of the islands abounds in coral reefs. Atolls in Maldives island are unique in nature. Each atoll is surrounded by a coral reef that is cut by numerous deep channels and a lagoon. The structure of reefs is unique and peculiar to Maldives and consists of a series of reefs that are circular. The atolls are surrounded by strong currents that are harbored by the monsoon winds. A brisk walk of ten minutes covers many islands as only a few are longer than two kilometers. Hithadhoo is the longest island in the Addu Atoll. The majority of the remaining islands are less than a mile long. The pristine beaches seem to merge with the turquoise waters and clear blue skies. This creates a sense of vastness. It also gives the feeling of peace and openness. A layer of humus, six inches deep, is the traditional surface covering the islands. The humus is made of a blend of sand and organic matter derived from animal and vegetable sources over the last few millennia. Below this, there is a layer of sandstone nearly two feet deep. This later evolves to a layer of sand. This is a source for fresh water. Travelers may discover numerous fresh water lakes on some islands where the water table is unusually high. The green vegetation of coconut trees, dense shrubs, and flowering plants makes the landscape tropical. The Coral Islands are not more than six feet above sea level. They are protected by atoll reefs. But, they vulnerable to erosion, especially those that lie in close proximity to the windward reefs. Strong gales devastated the northern islands in 1812 and 1955. The island part of Alifu Atoll was destroyed by tall waves in 1964. The capital of Male was affected by a powerful storm in 1987. Some researchers have predicted that sea levels will continue to rise because of global warming. This will spell doom for the ancient and unique culture of Maldives. The islands stand a risk of being wiped out in 50 years. The government in Maldives island has taken help from Japan to build a breakwater on the southern reef of Male. This is a precautionary move. With the assistance of an artificial breakwater and natural coral reefs, the islands have better protection from natural calamities.